We are desperate for new volunteers. Please contact any member to find out more. We are looking for Drivers, EMRs, and EMTs. If you are an “empty-nester” or a retired person, please consider joining us. If you are anyone at all who wants to give back, please consider joining us. It is very rewarding to be able to help your neighbors and friends when they need help the most. Plus, we are a very convivial, welcoming group. Drivers are trained in-house, and it is a good way to be introduced to what EMS is all about. State authorized training for EMRs (Emergency Medical Responders) takes about sixty hours. The course to become an EMT (Emergency Medical Technician) is approximately 150-190 hours over about two months. Both certifications last for three years, and the recertifications are done over one week-end. To print the application, scroll down to the bottom of the page, download the PDF, and print from your PDF viewer. 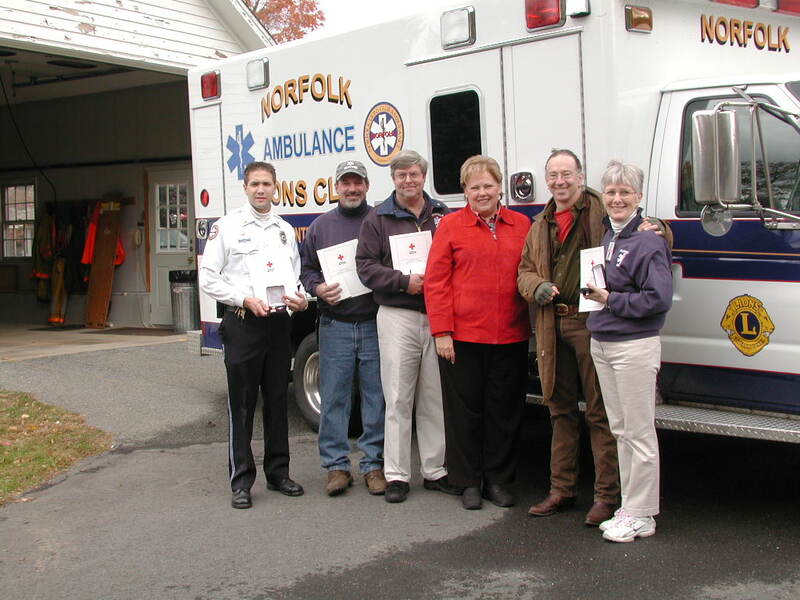 The Lifesaving Award of Merit from The American Red Cross, 2003.